If you lose weight through unhealthy means, there is an extremely high chance that you will gain weight faster when you resume your normal habits. Losing weight is often a difficult process. It takes time and hard work to lose the weight which took months or years to put on. Quick weight loss is a billion-dollar-a-year industry because millions of people want to lose the weight they accumulated over 10+ years in months or even weeks. The only problem with losing weight properly is the time frame. 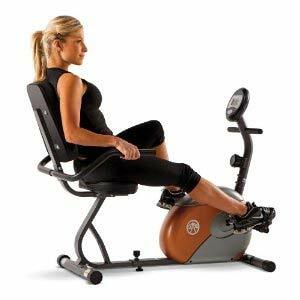 Healthy weight loss, according to the American College of Sports Medicine (ACSM), is only 1-2 pounds a week. Most people do not like the idea of spending 10-20 weeks to lose the 20 pounds they just decided they don’t want anymore, so they turn to weight loss methods which are supposedly quick and easy but are really unhealthy ways to lose weight. The following ways to lose weight are often based on misinformation such as nutrition myths. The media often publicizes and even glorifies unhealthy weight loss when covering celebrities and even professional athletes. Starvation is not fasting. Controlled fasting can be healthy and serve purposes such as cleansing and detoxifying the body when done during a period of physical inactivity. 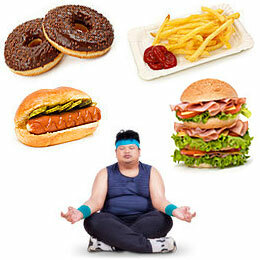 A controlled fast lasts for a specific amount of time, after which a person resumes their normal eating habits. During a controlled fast, the person does not exercise and is sure to follow the structured fasting protocol. Starvation involves long-term food restriction. The body does not get enough calories or nutrients to function properly. 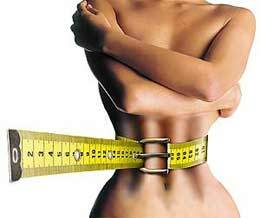 Weight is lost from all compartments of the body including water, fat, muscle and even bone. The eating disorder anorexia nervosa is marked by self-induced starvation diets. When using starvation to lose weight, the body becomes undernourished, not getting enough calories to function properly. The body is also malnourished because it is deficient in the essential nutrients to function properly. 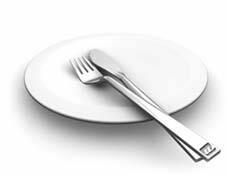 Those who use starvation for weight loss regain all of the weight and usually more when they resume normal eating habits. Lack of energy is the least serious consequences of starvation diets. Starvation diets can induce a variety if illnesses, as well as lowered immune system, weak bones, diminished mental capacity, and even death. 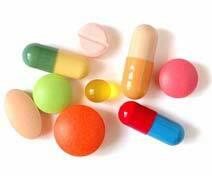 Illicit and legal diet drugs have been used for weight loss for years. Unless prescribed by a credible doctor, diet drugs are usually considered an unhealthy way to lose weight for the people who take them. Illicit drugs such as methamphetamines (speed), crack, and cocaine have also been used in the past for weight loss purposes. Prescription drugs used for ADHD Ritalin and Adderall have been reported to have been used by celebrities for weight loss. All drugs which have been used for the purpose of unhealthy weight loss have different effects on the body. 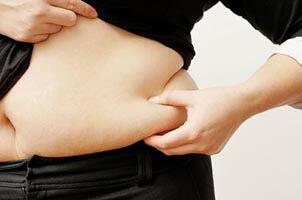 Weight loss from using illicit drugs is a side effect which comes along with the other negative effects of the drugs. What is common to all drugs is that when they are discontinued, the body no longer receives the effects of the drug. The effect of discontinuing the drugs can lead to withdrawal symptoms and most likely regaining the weight lost while taking the drug. Laxatives are foods, compounds, drugs or supplements which induce bowel movements or loosen the stool. Laxatives come in the form of pills, powders suppositories and teas. 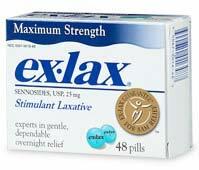 Laxatives have been erroneously used for weight loss for years. The belief is that laxatives will prevent absorption of consumed foods. The calories of the ingested food have already made it to the bloodstream by the time the laxative takes effect. The only weight loss from laxatives is water weight. Improper use of laxatives can cause short- and long-term problems. Short-term problems associated with laxative abuse include dehydration and hemorrhoids. Long term effects include intestinal paralysis, renal failure, irritable bowel syndrome (IBS), and even pancreatitis. Purging is the act of vomiting the food from the stomach directly after eating. In the eating disorder bulimia nervosa, binging on large amounts of food is commonly followed by purging the food from the stomach. Even people who do not suffer from the full-blown bulimic eating disorder have used purging as a weight aid loss for years. Purging is usually used exclusively after excessively large unhealthy meals. Purging is based on the idea that the person will be satisfied by eating the food, but will not absorb the calories and gain weight. Purging can lead to many problems, the most common being malnutrition due to purging the essential nutrients obtained in the diet. Purging can cause serious problems of the stomach and esophagus such as ulcers, tears, and ruptures. It is rare, but chronic purging has been linked to esophageal adenocarcinoma, which is an often-deadly cancer. Even though research has shown that smoking cigarettes causes an increase in metabolic rate and suppresses the appetite, the positive effects are insignificant when compared to the negative effects of smoking. 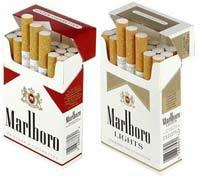 The dangers of being overweight or obese do not compare to the dangers of chronic smoking. Just in case you have been living in a cave, outer space, or under the ocean your whole life, cigarette smoking is the cause of 85% of lung cancer cases. Smoking has so many negative effects on the body, not limited to the heart and lungs, that it’s pointless to list them all. Sweat suits or sauna suits and saunas have been used for weight loss for years. The weight lost by using these suits or saunas is entirely water weight. The suits are often used by athletes who need to cut weight in order to compete in a specific weight class. Athletes use the suits to achieve a certain weight only for competition. After the weigh-in and competition, the athletes never wear these suits to lose weight. Saunas or sweat suits can cause deadly problems. The least dangerous effects of dehydration and increased body temperature can both become deadly if they get out of control. One extreme example of dangerous weight loss was a high school wrestler who used multiple unhealthy ways to lose weight in preparation for a wrestling meet. The student athlete took the dangerous diet supplement ephedrine while he ran stadium steps in a sweat suit in order to make weight for the next day’s competition. He was found dead the next day. Even though he had been dead for over 8 hours, his body temperature was still over 100 degrees. What Are the Best Healthy Ways to Lose Weight? Weight loss is not meant to be a quick process. Avoid the weight loss methods covered here and those which promise quick results and instead focus on proper nutrition and training. Before you know it you will become physically and mentally healthy and you’ll also be able to maintain your new healthy weight for a lifetime.